Workplace Safety Programs designing effective safety plans and implementing them requires thorough analysis of workplace conditions and determining the level of protection required.Organizations can reduce the risk of accidents at workplace by identifying the level of risk, modifying the already existing policy and implementing it effectively. Safety Policy: It contains a declaration of the employer’s intent towards the safety of employees and means to realize it. 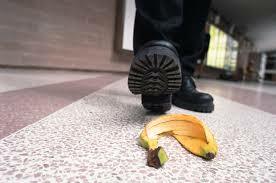 It includes causes, extent and remedies for accidents at workplace. Mental Health Services: In order to reduce the risk of mental breakdowns because of tension, pressure and depression and mental illness, a mental health service is provided to the employees in different ways such as psychiatric counseling, co-operation and consultation with specialists, educating employees about the importance of mental health.